Most Revered Swami Atmasthanandaji Maharaj, President, Ramakrishna Math and Ramakrishna Mision, continues to be at Seva Pratishthan. There is no significant change in his health condition. Revered Swami Smarananandaji, Vice President, will be visiting Barisha centre from 4 to 8 April, and Sarisha Ashrama from 17 to 27 April. He is keeping well. Revered Swami Vagishanandaji, Vice President, will be visiting Delhi and Vrindaban from 7 to 13 April, and Sundiara and Domra villages (in Burdwan district) and Ramharipur from 25 April to 5 May. He is in good health. Revered Swami Prabhanandaji, Vice President, is scheduled to return to Belur Math on 3 April after his visit to Somsar, Jayrambati and Kamarpukur. He will be visiting Rahara and Narendrapur from 17 to 28 April. He is keeping well. Nagpur Math held a public meeting on 6 March which was attended by about 500 people. Swamiji’s Ancestral House conducted a special lecture on 9 March which was attended by about 250 people. Mysuru centre held a seminar on 18 March which was attended by 145 college students. Antpur centre held a seminar on Sister Nivedita on 26 March in which 180 persons participated. Bamunmura Ashrama conducted a devotees’ convention on 12 February which was attended by 340 people. Also, a youths’ convention was held on 19 March in which 336 delegates took part. On 19 March, Delhi centre conducted a drama on Sister Nivedita which was watched by about 300 persons. Malda centre held special lectures on 18 March and a drama performance on Sister Nivedita on 19 March. In all, about 1000 people attended these programmes. Puri Mission Ashrama conducted a youths’ convention on 24 March at Sri Jagannath Sanskrit University, Puri, in which 75 students participated. Rajamahendravaram centre held cultural competitions in which 4323 students from 39 schools took part. The winners were given away prizes on 28 February. 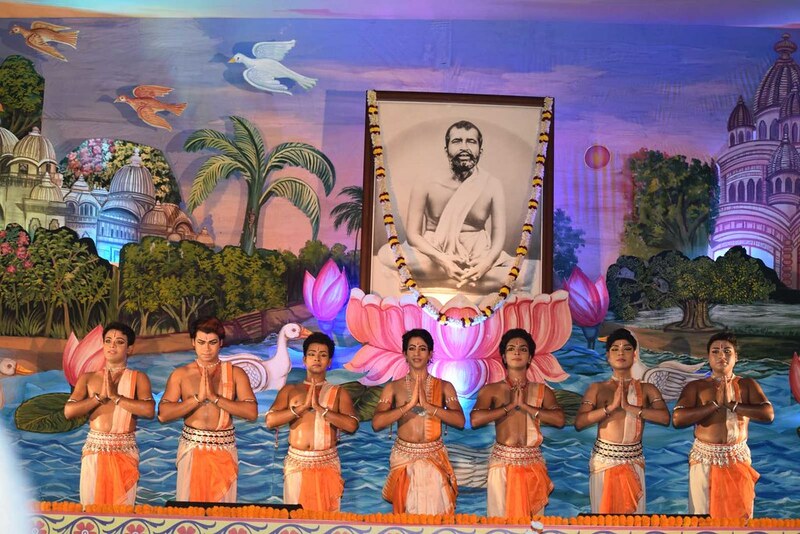 Ranchi Morabadi centre conducted a devotees’ convention on 19 March in which 275 devotees took part. Swamiji’s Ancestral House held two lectures on 27 February and 17 March at the centre which were attended altogether by 550 people. On the centre’s initiative, six discourses were held in and around Kolkata from 20 February to 18 March. In all, about 3150 people attended the meetings. Tamluk centre conducted the following programmes: (i) a students’ convention on 10 September in which 500 students took part, (ii) a teachers’ convention on 4 March in which 300 teachers participated, and (iii) cultural competitions from January to March in which about 8000 students and teachers from 22 schools took part. 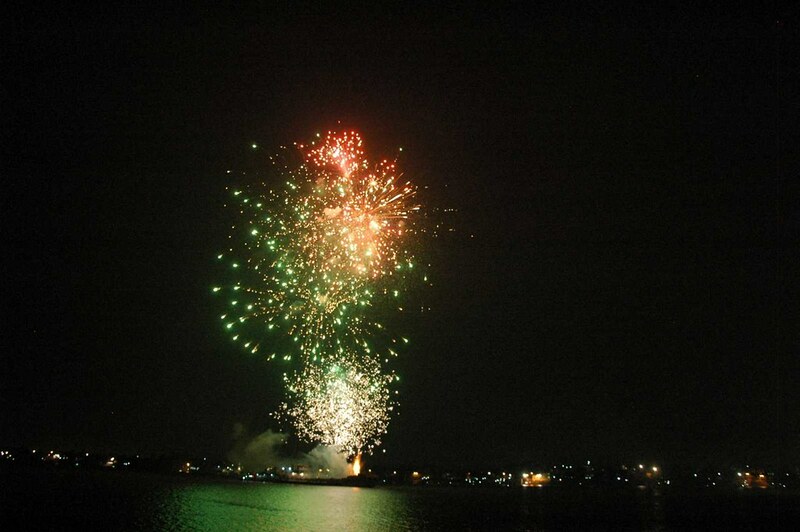 Varanasi Home of Service held cultural programmes on 23 and 26 February and 26 March. Phone Number : The phone number of Darjeeling centre has been changed from 2270777 to 2251055. Email ID: Portland (USA) centre has got a new email id <[email protected]>. Website: Koyilandy centre has launched a website with address <www.rkmathkoyilandy.org>. 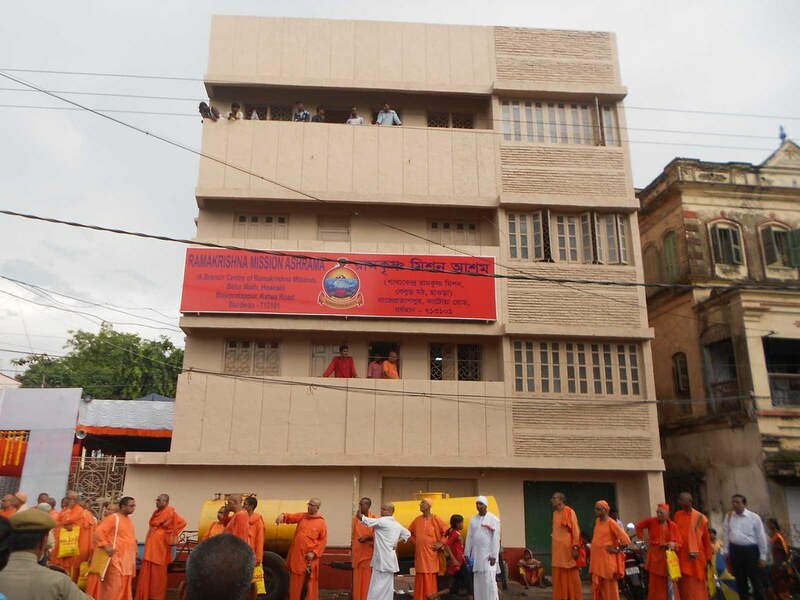 On 8 March, Swami Suhitanandaji, General Secretary, inaugurated ‘Maa Sarada Abasan’, the living quarters at Jai Narayan Banerjee Lane, Kolkata, built by Baranagar Math for rehabilitation of families who had been living in a slum adjacent to the centre. On 4 March, the first floor of the guesthouse of Lucknow centre was inaugurated and the newly set-up seven modular operation theatres at the hospital were declared open. Cooch Behar centre held a teachers’ convention on 3 March in which about 100 teachers from different schools and colleges of Cooch Behar district participated. Cooch Behar centre conducted a free medical check-up camp for cleft-lip and cleft-palate patients on 19 March. Fifty-six patients were examined, out of which 36 will undergo free plastic surgery at a hospital in Varanasi. Ghatshila centre held a free medical camp at a tribal village in Ghatshila district on 7 December in which 153 patients were treated. Medinipur centre conducted a free medical camp on the premises of a school in a backward tribal area in Paschim Medinipur district on 16 March. Nine doctors, including a pediatrician, two gynecologists and a dentist, treated 1147 patients. Seva Pratishthan, Kolkata, conducted a day-long medical camp in the annual Public Celebration held at Belur Math on 5 March. A team of five doctors, five nurses and a few paramedical staff treated 179 patients in the camp. 12 Rajamahendravaram 5, 6 and 12 Mar 241 52 21 A hospital in East Godavari Dt. 18 Vadodara 16-Mar 226 − 16 A hospital in Vadodara Dt. Ranchi Morabadi centre conducted an eye care programme from 22 February to 21 March in which eye check-up of 1137 persons was done and 4 patients were operated upon for cataract. Divyayan Krishi Vigyan Kendra of Ranchi Morabadi Ashrama has been awarded Pandit Deendayal Upadhyay Rashtriya Krishi Vigyan Protsahan Puraskar 2016 by the Indian Council of Agricultural Research. The award comprising a certificate and 2.25 lakh rupees was handed over by Sri Radha Mohan Singh, Union Minister of Agriculture, at a function held in Indian Agricultural Research Institute, New Delhi, on 15 March. 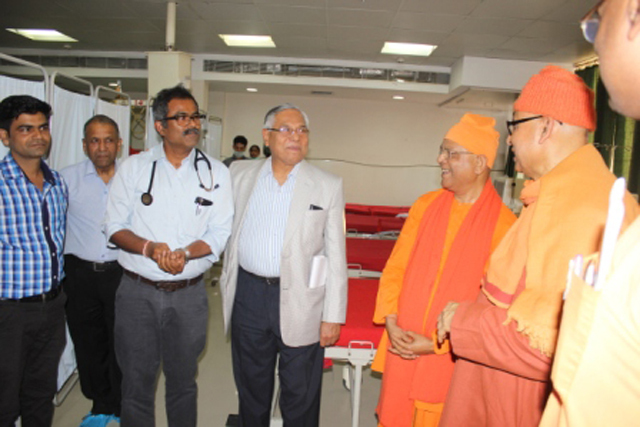 Justice (Retd) Sri P. Sathasivam, Governor of Kerala, inaugurated the newly built operation theatre block at Thiruvananthapuram centre on 30 March in the presence of several dignitaries and a number of devotees, well-wishers and staff. Bommidala Srikrishna Murthy Foundation, Guntur, selected Rajamahendravaram centre for Spoorthi Award in recognition of its service to society. The award carrying a memento, a citation and three lakh rupees was handed over at a function held in Guntur on 26 March. Vivekananda University in association with Central Council for Research in Yoga & Naturopathy (CCRYN), Ministry of AYUSH, Government of India, held a Yoga Festival on its main campus in Belur from 17 to 19 March. 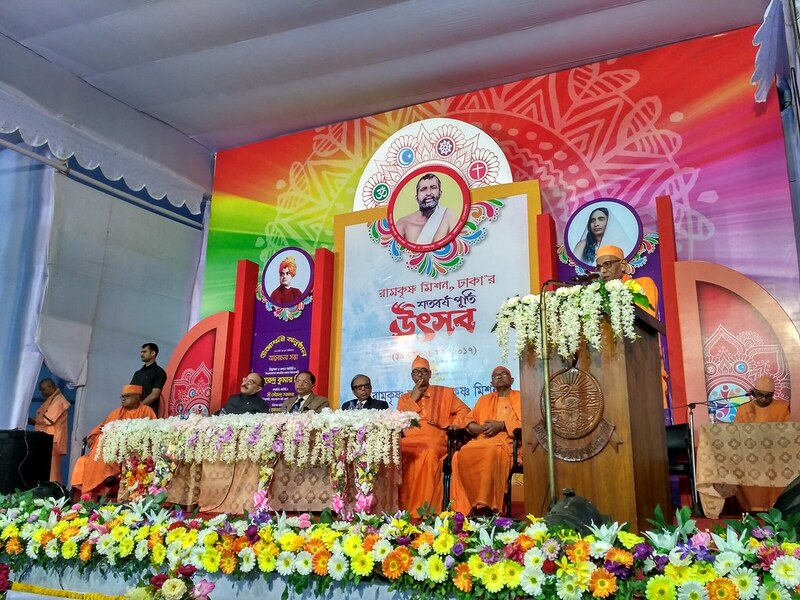 The three-day programme was inaugurated by Swami Gautamanandaji and consisted of a variety of events such as seminars, interactive sessions, yoga workshops and demonstrations. About 1000 people took part in the programme on all the days. Delhi centre held 7 values education workshops from 14 to 25 March which were attended by454 principals and teachers. The workshops were held at Bihar, Delhi, Karnataka and Madhya Pradesh. Coimbatore Mission Vidyalaya conducted six cleaning drives in March in which the Vidyalaya students cleaned some public places including a school, a hospital and two government offices. Kamarpukur centre carried out a cleanliness drive on 26 March in which 88 people participated. Mangaluru centre held 52 cleaning drives in and around Mangaluru on four Sundays in March in which altogether 5400 volunteers participated. Mysuru Ashrama conducted seven cleaning drives between 5 February and 26 March in which about 600 volunteers cleaned different localities of the city. On 27 February, 300 sweepers working for Mysuru City Corporation were felicitated. Besides, programmes to spread awareness among students about cleanliness were held in 6 educational institutions from 27 January to 3 March which were attended by nearly 900 students. Varanasi Home of Service carried out a cleanliness drive on 26 February in which 250 people took part. A rally was also taken out to create awareness about cleanliness. Dhaka (Bangladesh) centre celebrated its centenary by holding a series of programmes from 19 to 26 March. Sri Surendra Kumar Sinha, Chief Justice of Bangladesh, inaugurated the celebrations. The General Secretary presided over the inaugural function. Special worship, homa, a youth convention, a womens’ convention, a procession, a conference of Ramakrishna-Vivekananda Bhava Prasar Samsad, feeding of the poor, a sadhu sammelan, a blood donation camp, an inter-religious convention, public meetings, release of books and cultural programmes were parts of the celebration. A number of dignitaries including Swami Vagishanandaji, Minister of Home Affairs Mr Asaduzzaman Khan, Minister of Commerce Mr Tofayel Ahmed, Minister of Agriculture Mrs Matia Chowdhury, and Minister of Water Resources Mr Anisul Islam Mahmud addressed the different meetings. Nearly 80 monastic brothers and a large number of people belonging to different faiths took part in the celebrations. Durban (South Africa) centre conducted a free medical camp in the rural area of Etete on 26 February. A number of specialist doctors of various disciplines treated 491 patients. Some minor surgeries were also performed. We are sorry to announce the passing away of Swami Virupakshanandaji (Uggappa Maharaj) at a hospital in Chennai on 2 March at 9 am. He was 80 and had been suffering from respiratory disease for some years. Initiated by Swami Shankaranandaji Maharaj, he joined the Order in 1959 at Belur Math and had Sannyasa from Swami Vireshwaranandaji Maharaj in 1969. Besides his joining centre, he served at Jamshedpur, Ponnampet, Chennai Math, Colombo (Sri Lanka) and Hyderabad centers as an assistant and for 33 years at Chengalpattu centre as the head. He also served Swami Shankaranandaji Maharaj for some period. After relinquishing headship of Chengalpattu centre in August 2013, he continued to stay there. The Chengalpattu centre at its present site owes its development almost entirely to the dedicated work of the Swami. He also authored a couple of books and contributed some articles to our journals.